When your heart is functioning normally, it delivers oxygen- and nutrient-rich blood to your body’s cells and beats a consistent rhythm. However, when the rate or rhythm of your heartbeat is too fast or slow, with an irregular pattern, the condition is referred to as an arrhythmia. This could be the result of a fault or faults in the heart’s electric circuitry. While an irregular heartbeat is fairly common, many people are unaware until they experience symptoms. ‘The condition can present with dizziness or heart palpitations, loss of consciousness and chest pains,’ explains Dr Vinod Thomas, an electrophysiologist and cardiologist at Life Vincent Pallotti Hospital in Cape Town. And it can result in a sudden cardiac event, such as heart failure, if the patient receives no treatment. Dr Thomas, who recently performed the state-of-the-art His-bundle cardiac pacemaker procedure explains: ‘The practice of cardiac electrophysiology diagnoses, manages and treats heart-rhythm disorders by installing cardiac devices into the heart or using catheters to discern healthy tissue from tissue that needs to be destroyed. An electrophysiology study is conducted to show where the arrhythmia is coming from and can help to plot a course of action; in other words, does the patient need medicine, a catheter ablation or an installation of a cardiac device?’ Dr Thomas says that the high success rate of ablations and installations as opposed to prescription medicine is something to be noted. ‘Prescription drugs for heart health maintenance can be avoided in many instances – what could be better than having the surgery and/or ablation and feeling 100% better after the procedure?’ he remarks. When your heart is functioning normally, electrical pulses are conducted from the sinoatrial (SA) node in the right atrium to and through the atrioventricular (AV) node. The pulses move downwards along the septum to the apex of the heart, along the right and left ventricles. His bundle transmits electrical signals from the AV node, down along the septum between the two ventricles and then along the walls of the ventricles. 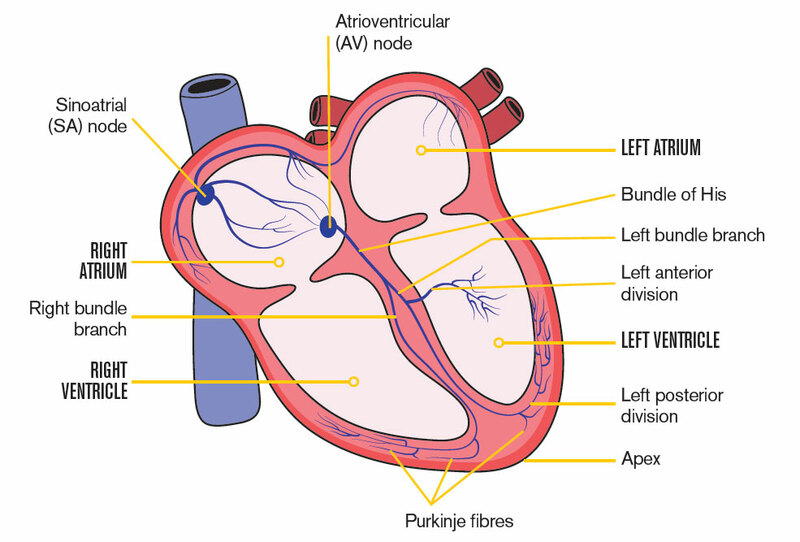 The His-bundle electrodes, which are located in the septum, stimulate the heart’s own conductive tissue, leading to synchronised contractions by both ventricles. Electrical signals are conducted from the upper chambers to the lower chambers. The bundle of fibres of His bundle provide the circuitry to conduct the signals extremely quickly, restoring and maintaining a regular heartbeat. A pacemaker is a small device, surgically implanted in the chest or abdomen to help control an abnormal heart rhythm. Electric pulses are emitted from the device and that keeps the heart pumping at a regular pace. While a traditional form of pacing is highly successful and provides a low-risk treatment option for most patients with heart-rhythm irregularities, certain patients who present with a dysfunction between the ventricles (dyssynchrony) can benefit greatly from His-bundle pacing. Dr Thomas explains: ‘His-bundle pacing is a relatively new technology available to cardiologists who are treating heart failure. Unlike conventional pacing, His-bundle engages the heart’s intrinsic conduction system, or natural rhythms, to activate the ventricles. The result is synchronised and steady contractions of both heart ventricles.’ Research also supports the doctor’s view that this procedure places less strain on the heart and the long-term results are more positive in the right patient. Dr Thomas cautions that not all patients are ideal candidates for the procedure. However, His-bundle pacing, says the doctor, is proving to be particularly beneficial in patients with heart failure and a slow heart rate, where pacing is anticipated to be greater than 20 to 30%. 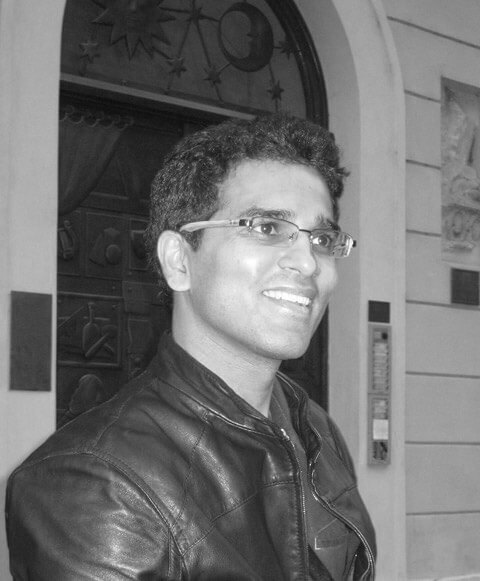 Dr Vinod Thomas began his medical career in an interesting place – with a BSc (Anatomy) in Archaeology under the tutelage of Professor Phillip Tobias at the University of Witwatersrand. He went on to study medicine and specialise in cardiology in the UK and Canada before returning to South Africa to set up his own practice at Life Vincent Pallotti Hospital in Cape Town. If you present with any of these symptoms for a prolonged period of time, it’s best to consult your doctor, who can run the necessary tests and arrive at a definitive diagnosis.